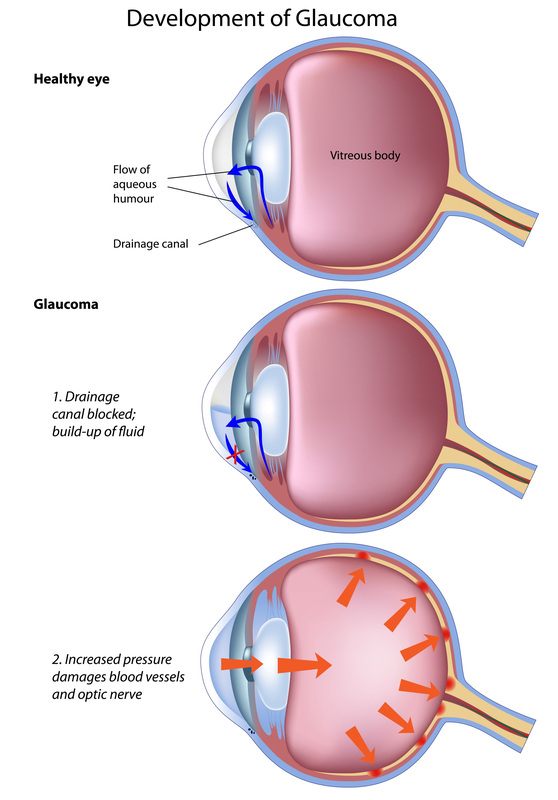 Glaucoma is the second leading cause of blindness worldwide. It is estimated that while some 3 million Americans have some form of the condition, only half of them are aware of it. There is currently no cure for glaucoma. But if detected early, it can usually be controlled. At the Krieger Eye Institute, we have every treatment currently available for glaucoma, along with many sophisticated screening tests. There's no better center for diagnosing and treating glaucoma. 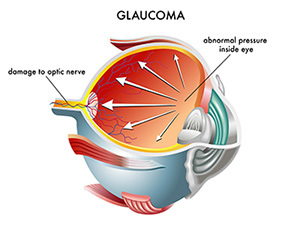 Glaucoma is a group of eye diseases that are often caused by increased pressure inside the eye and, if left untreated, can cause damage to the optic nerve and vision loss. Some cases of glaucoma can be difficult to diagnose, and its presence isn't always apparent. The most common form of the disease, open-angle glaucoma, has no symptoms initially. As the disease progresses, your side vision may begin to fade. Left untreated, the field of vision will continue to narrow and blindness results. While glaucoma can't be cured, it can usually be treated. At the Krieger Eye Institute, we cover all aspects of the disease--from screenings to surgical procedures. We also participate in research and national studies to stay on the forefront of treatment. Medications -- in the form of eyedrops or pills -- are the most common early treatment for glaucoma. Some cause the eye to create less fluid, while others lower pressure by helping to drain fluid from the eye. Laser surgery also helps drain fluid from the eye. The Krieger Eye Institute offers three types of laser treatment, all of which are done here at our office. For the most common type of glaucoma (open angle), we use an argon laser. We use a YAG laser for angle closure glaucoma and a diode laser for end-stage glaucoma. Dr. Donald Abrams and Dr. Anthony Castlebuono also perform surgical procedures to treat glaucoma (trabeculectomy), along with glaucoma valve implants to relieve pressure on the eye. The Krieger Eye Institute has sophisticated diagnostic tests. 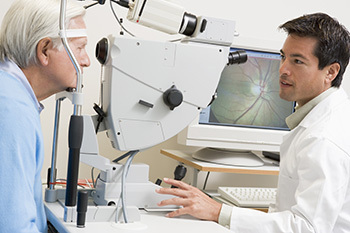 We assess your visual field using computerized and manual tests, ophthalmic photography (photos of the optic nerve) and nerve fiber layer photography with a digital system. People at a higher risk for glaucoma should have their eyes examined through dilated pupils every year.